Prior to initiating any insomnia or sleep apnea treatments, it is essential to have a comprehensive clinical exam evaluating the airway that is compromised. It doesn’t make sense to treat the collapsing airway prior to a proper evaluation. 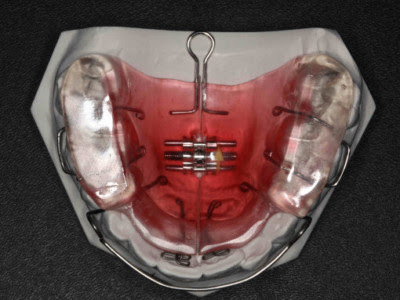 First line treatment of OSA included Continuous Positive Airway Pressure (CPAP) machine or Oral Appliance Therapy for mild to moderate patients. Patients with severe OSA are recommended to initiate our CPAP therapy sleep disorder treatment. Getting your sleep apnea treated is one of the most important things you can do for your overall health. It will help you feel better immediately, and it can help you combat a wide array of psychological and physical ailments, including cardiovascular disease, depression, metabolic disorders, stroke, and more. Although in the past, CPAP was the recommended treatment, oral appliances have been recognized as an important treatment option for people. But how do you decide which oral appliance is the right one for you? It’s important to consider the benefits of the different treatment options. And no oral appliance offers the benefits that you get from the DNA (Daytime/Nighttime Appliance). Here’s why you should strongly consider choosing the DNA for your sleep apnea. Repositioning appliances work well when you’re wearing them. But you only wear them at night, which means that during the day you may still have breathing problems. The DNA goes beyond repositioning your jaw–it reshapes your jaws. This reshapes your airway, giving you the ability to breathe more freely, which can treat your sleep apnea, especially when combined with lifestyle interventions like weight loss, exercise, and changing habits like smoking and alcohol consumption. While you may not snore during the day (although some do have problems with loud breathing), and your airway may not close off as it does when you’re asleep, restricted breathing can impact you in many ways throughout the day. You may become winded easily, and may have chronic fatigue. But with the DNA, you may see dramatic improvement in these areas. Your breathing will be improved both at night and during the day. Although sleep apnea may be the most critical impact caused by your jaw development, it’s far from the only one. Jaw development also affects your appearance. The shape of the lower third of your face is determined by the shape of your teeth and jaws. If you’ve never been happy with the appearance of your cheeks, lips, and chin, you will likely see a tremendous change thanks to the DNA. By reshaping your jaws, the DNA can give you fuller lips and cheeks. It can strengthen the chin and give better definition to your jawline. The appearance of wrinkles around the mouth and sagging skin under the chin can be reduced. During your consultation, we can speak in more detail about the specific changes you might see. When your jaws aren’t developed enough to allow for open airways, they may have other functional difficulties as well. These may manifest as any number of bite problems, including temporomandibular joint disorders (TMJ), which can cause headaches, facial pain, tooth wear, and more related symptoms. Although the DNA isn’t specifically intended to relieve TMJ problems, many people see improvement or even cure of their TMJ thanks to treatment. The two most important factors for success with CPAP and/or Oral Appliance therapy are nasal patency (ability to breathe adequately through the nose) and BMI (body mass index). Is the DNA Right for You? If you’re considering your sleep apnea treatment options, it’s important to take the time to consider the DNA as well as other oral appliances. Not everyone benefits from the DNA, but for people who will, the results will impact more than just your sleep–they will impact nearly every aspect of your life. To learn whether the DNA is right for you please call our office today (801) 691-7365 for an appointment with our sleep dentist.